Admission: $5 for Adults , Children 12 and under are Free ! Caregivers of special needs persons are also free. Food Donations: Please bring canned food for the Markham Food Bank and enter to win fantastic prizes! One RAFFLE ticket will be given for each can of food. Buy your tickets on-line to be entered into a special draw for exclusive event items! 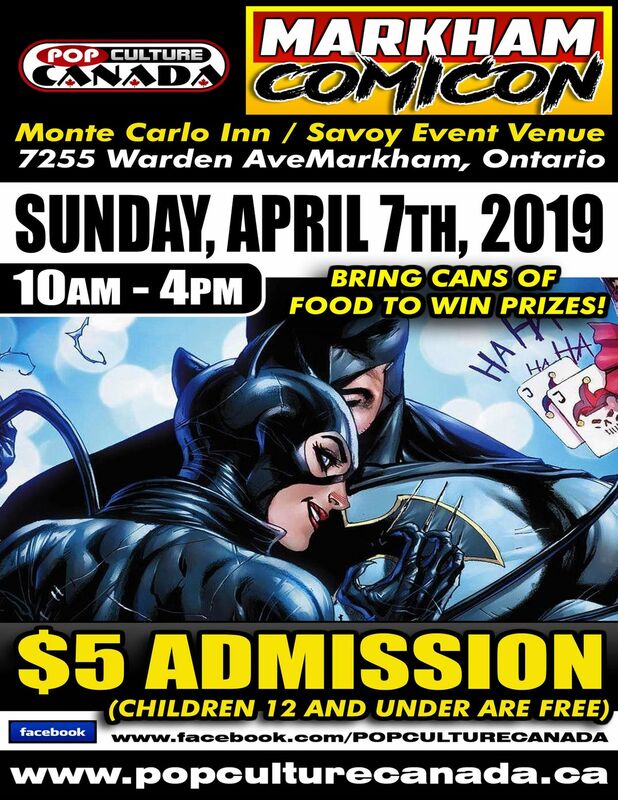 A variety of vendors will be selling comic books, toys, jewelry, dvd's, anime, manga and a bunch of other awesome geek and nerd stuff!! 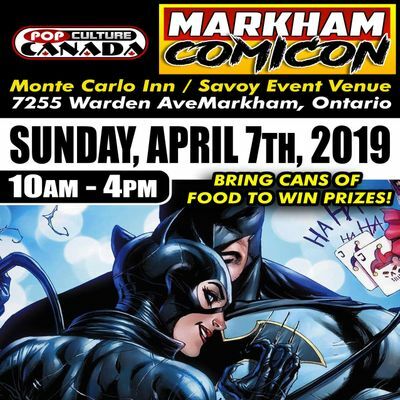 Tell your friends and come join us for Markham's one and only comic con ! !